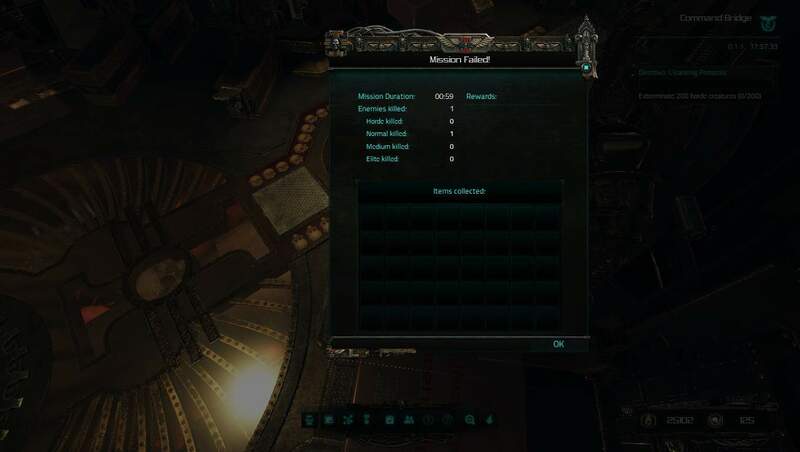 I have successfully logged back onto my game and jumped back onto my character, however I now have the issue where a mission summary menu pops up detailing Mission Duration, Enemies Killed, etc. I close it and it pops back up, no matter how many times I click on X or click on OK. Screencap for reference. Endless times. No matter how many times I clicked on X or OK, the screen popped back up within half a second. The only way around it I've found is to create a new character. I've got it and my character has become unplayable. Every time I close the window it pops up less than a second later. How many times did you try? You could be getting older mission results, which you didn't accept( due to a bug, possibly ).